For gamers collecting the Elysian range this would be a must buy but your right somthing similer could be kitbashed for a lot less money. I've been thinking of doing just that for my recon force, just looking for the right doner kits. And yes an option to carrie troops in the back would be good to. I think a good raid through ebay should be able to turn up some useful donor kits, things like the dune buggies that the US army use etc. I've always loved the Elysian figs but for some reason don't own any...yet! Tempted to pic some up to accompany my Valkyrie once I get it done. Just ordered mine! I love the model, reminds me of HALO. I'm planning to get one as a civilian vehicle for my INQ28 setting. I'm going to be assembling it without the weapon mount. It should prove very useful! Nice one Les, looking forward to seeing what you do with it. 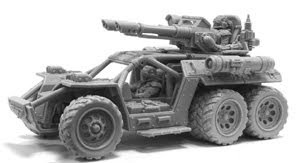 Molotov, it definitely fits the INQ28 theme, it reminds me a lot of the vehicles in the back of the =I= rulebook. I could see it getting a lot of use in your campaign, it is very Abnett in style. Far too expensive. Might as well build your own version. True, if you have the skills, why not use them I guess? 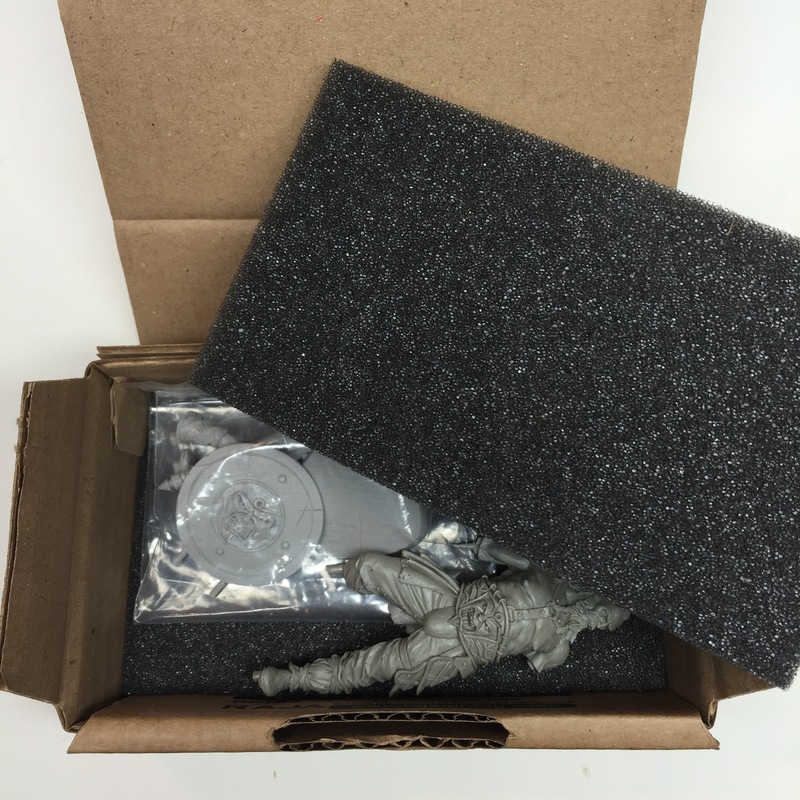 For some though, I can see the convenience of a nicely designed kit outweighing the costs. Especially for those who might not be so confident in their skills and who have the money and inclination to spend. That said, I'm looking forward to seeing peoples kit bashed versions!